The story behind our champagne flutes. 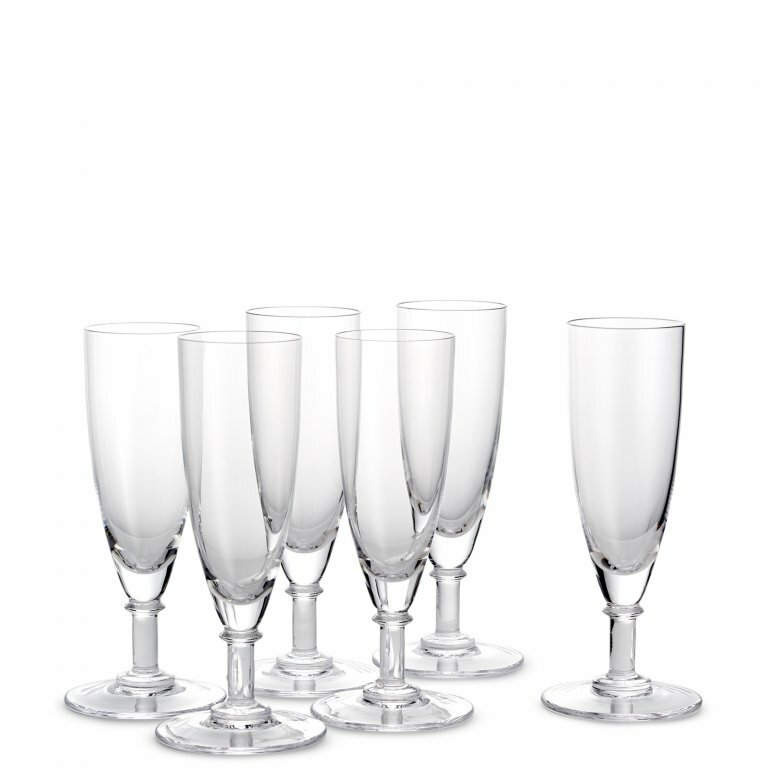 Our fine crystal champagne flutes are designed exclusively for The Wolseley, to match our Rummer wine glasses. Rummer glasses became very popular towards the end of the 18th century and are characterised by a capacious bowl, a short sturdy stem and a wide foot. Our champagne flutes have a single knop in the stem and a hand formed base, which has been delicately engraved with The Wolseley monogram.